While we couldn't get an answer from Chucklefish directly about Linux support for Wargroove, they did take to the Steam forum to answer questions and it seems Linux hasn't been forgotten. There's quite a lot more to it than those features, that's just a few highlights. 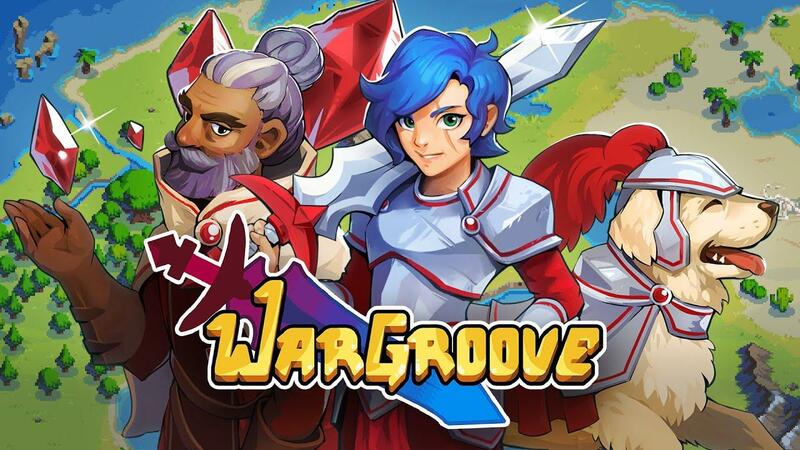 Honestly, I think it looks really good and as someone who enjoyed Advance Wars many years ago I look forward to trying my hand in Wargroove. Sweet. I was a rather disappointed that it launched with no Linux version. It's back on my radar, then, and looking forward to it again. Nice, I miss Advance Wars. This is definitely going into my (platform-specific) wishlist. Oh nice, I would like that! Furyspark Sweet. I was a rather disappointed that it launched with no Linux version. It's back on my radar, then, and looking forward to it again. Yep, has a linux depot, but empty. Works on Steam Play / Proton 3.16-4 with "--skip-intro" as a launch option and choosing OpenGL. Exactly! Some co-workers showed the game the other day, and I was bummed that it was only for Windows, especially since it was published by Chucklefish. I'm happy to hear that it's coming, and now it'll promptly go on my wish list. I'm a fan of games like Fire Emblem / Advance Wars / FF Tactics Advance. Looks like it's coming to GoG as well. w00t! EDIT: OK, I see that it's on the Switch. I don't have a Switch, but I'll probably get one this year or next year. So, the big question for me is whether I think I'll play Wargroove multiplayer or not. If yes, then I'd rather get the PC version for voice and text chat capabilities. If no, then I'd probably want to play on a mobile gaming system that's even less cumbersome than a laptop. Plus, you know what, computers can just be distracting, just like cell phones. I get on the computer to play games, but then I have to check a whole bunch of things first, and I might not play a game at all. From my understanding, you won't be able to share the saves, but Multiplayer and Custom content is fully cross platform. As for chat, I use discord anyway, since everyone I know will only use that.